It has been 2 years since I’ve been in a Spencer’s and Hot Topic. 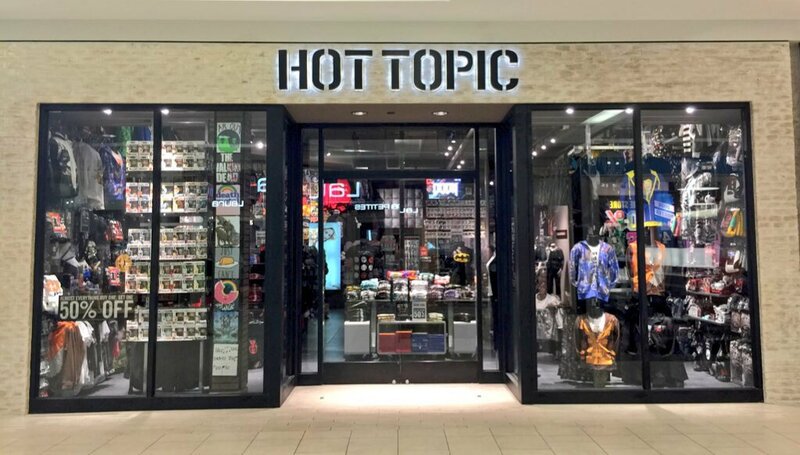 When I went to Hot Topic and did some shopping, the cashier told me I’ve been a member for 7 years! 7 YEARS! I felt so old when I heard that. If you don’t know that Spencer’s and Hot Topic are, I have some photos of what the stores look like so you have an idea. I mostly got some clothing items, a few accessories, and some drinkware. These were all on sale so I was pretty excited to save some money. I didn’t get too much from Spencer’s because I usually go for their accessories and drinkware but they had pretty cool shirts. I got a Fallout shirt, Super Mario muscle tee, Doom, Streetfighter, and Warcraft shot glasses, and a Gengar mug because Gengar is my favorite Pokemon. They had tons of drinkware that I wanted but I only got the 4 because they had the Buy One, Get One for 50% which is amazing. I got a Overwatch tee, a reversible Pokemon muscle tee, Five Nights at Freddy’s button up shirt, the Assassin’s Creed movie cosplay hoodie, a Nintendo 64 snapback, The Legend of Zelda hearts earrings, and a Pokemon Eevee Evolution handbag. All of this stuff was either on Clearance or Buy One, Get One 50% off and I just saved a ton of money. It was exciting to go back into those stores because it’s where I get my video game merchandise. The stores are kinda expensive but to me, it’s worth buying these things. I just love it. Do you guys shop at Hot Topic or Spencer’s?